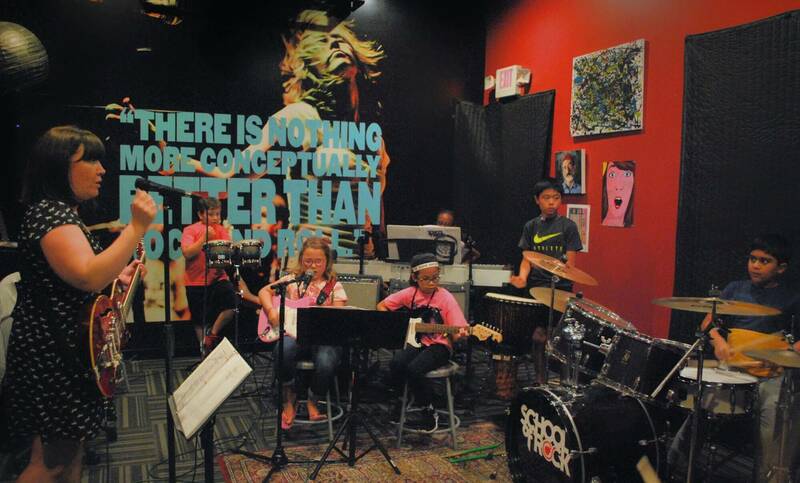 School of Rock Katy’s music teachers are experienced musicians devoted to helping students attain musical proficiency. 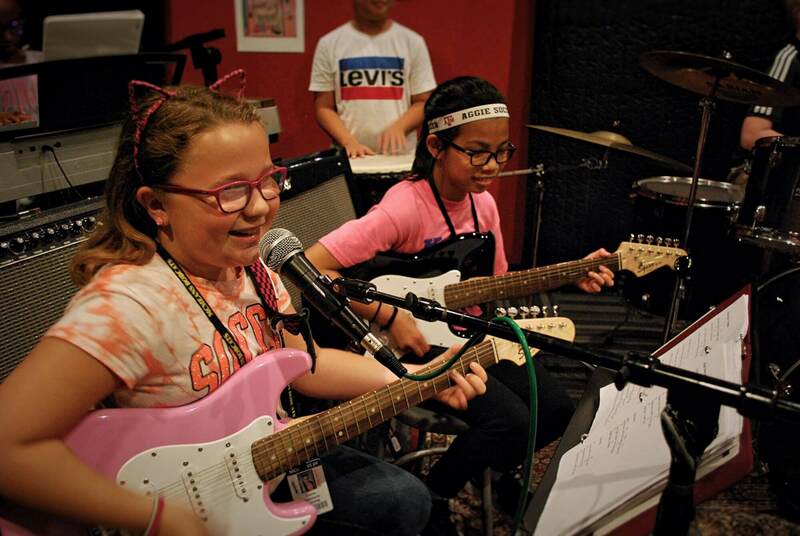 From singing to drums to guitar, our Katy music instructors inspire and teach students to perform live. William Cloninger is another Houston native, graduating from Dulles High School and going on to earn his bachelor's degree from Sam Houston State University. 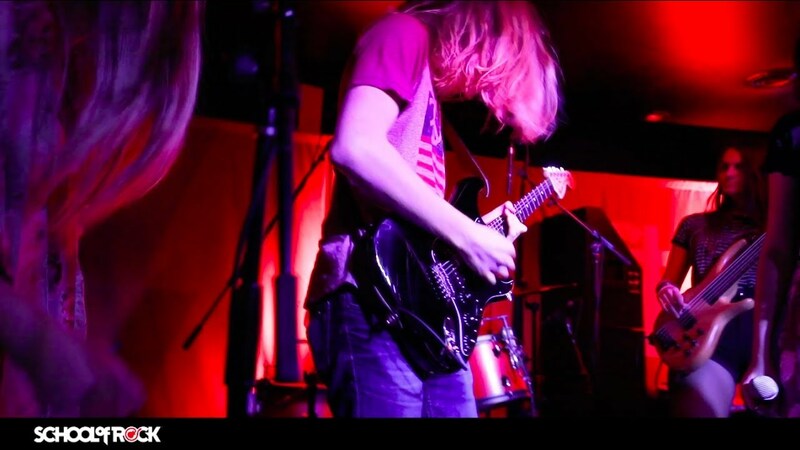 William is a tireless scholar of music and guitar theory and specializes in finger-picking style guitar and music composition. He also dabbles in harmonica and vocals and can be found playing solo acoustic shows as well as in his recently formed (and yet unnamed) band. If you're into the latest guitar geek toys like loopers and effects, William probably has tried them out and would love talking about it! Born and raised in Katy, TX, Chris had a natural ear for music from a very young age. In the beginning, Chris’s fundamental experiences were organic- learning to play by watching and listening to drummers of all styles. 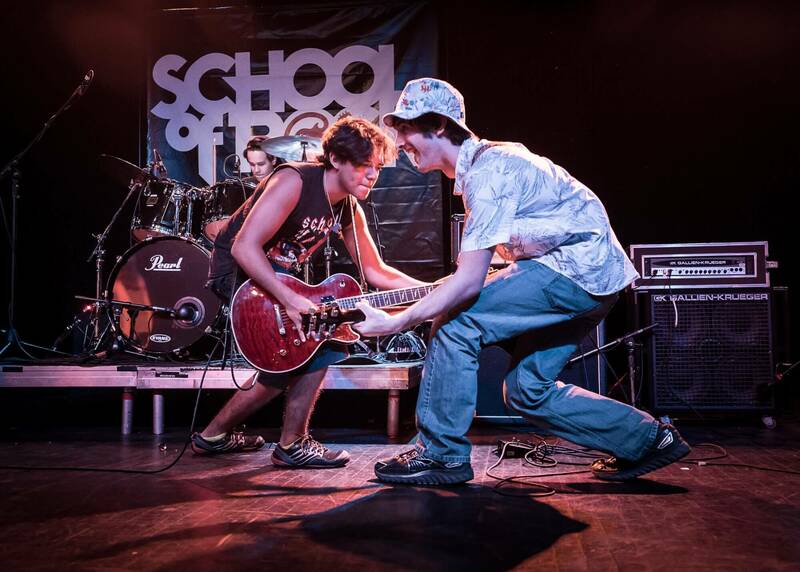 In junior high, Chris played with many bands, performing in school functions and at various youth venues in Houston and the surrounding area. 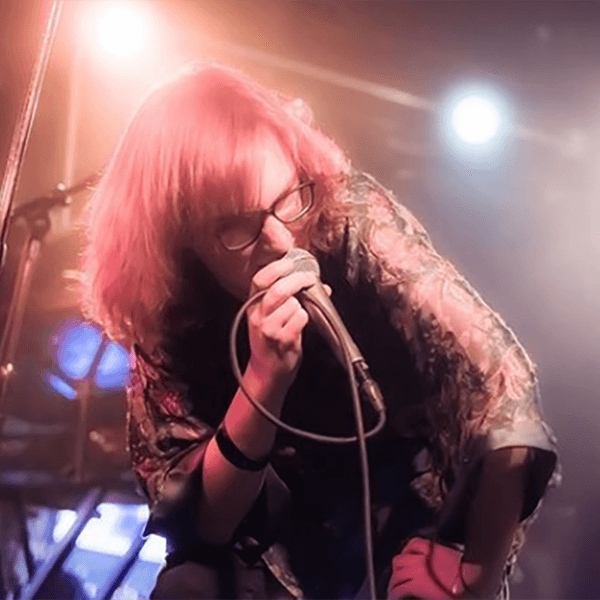 Soon after, Chris joined Minderbinder, recording and performing at multiple venues across Texas including the Houston Marathon and South by Southwest. 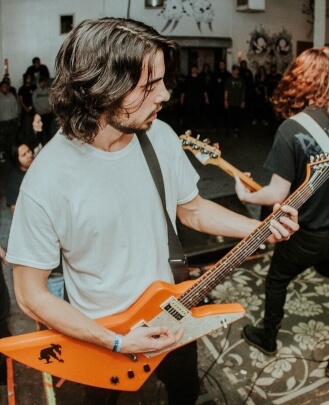 Chris continues to immerse himself in the Houston music scene, performing with several local and national bands and earning nominations from the Houston Press for Best Upcoming Metal/Punk Band. 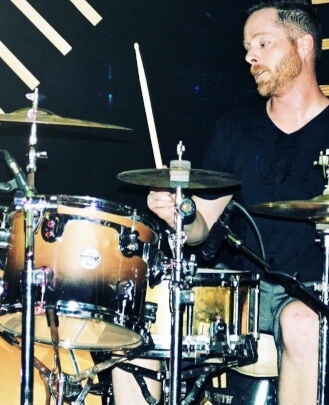 With his capacity to come into any professional environment and instinctively play exactly what is needed, Chris has earned a reputation as a veritable drumming ninja in the Houston area. 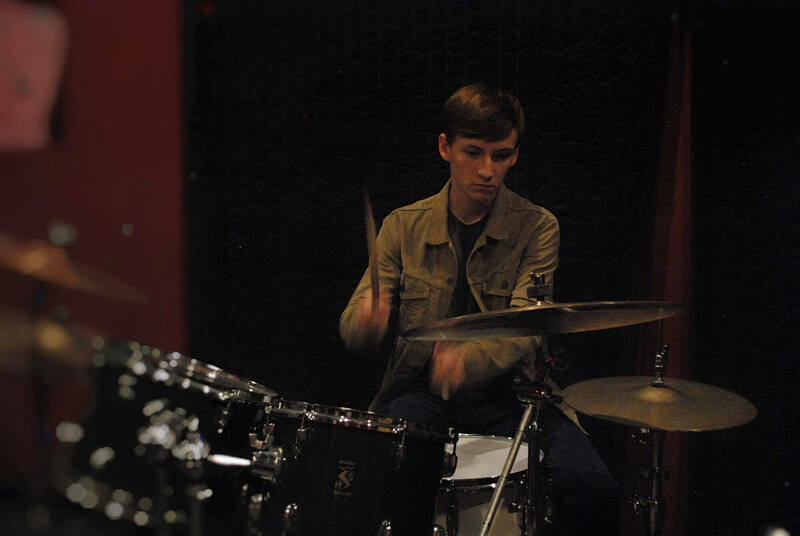 Chris is passionate about drumming and about sharing his passion for music with others. 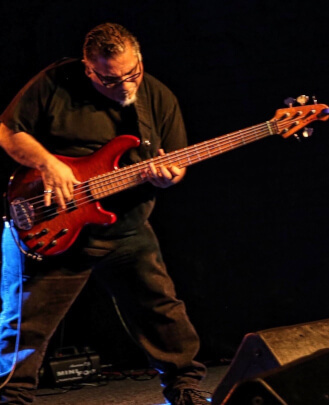 Born and raised in Houston, TX, Evetier has been playing bass for over 35 years. He’s also played other instruments along the way including drums, fiddle and trumpet. Growing up in a city as large as Houston, he was exposed to many genres of music, learning to appreciate such styles as rock, blues, jazz, funk, R&B, country and Latin. Evetier currently gigs in several bands, playing with some of the best musicians in the city. Along his musical journey, Evetier has been lucky enough to learn from several accomplished teachers, including the late, great Conrad Johnson and Regi Wooten, a member of the renowned Wooten family and brother of the world famous Victor Wooten. Evetier draws from these experiences as well as his own professional career, helping to bring his love of music to his own students. Kalila was born into a military family and, although she always loved music, she did not discover her ability to sing until she was "voluntold" at the age of 12 that she would be singing a solo at her church for Easter. Since then, Kalila has made it her mission to use her voice, in any capacity, to make a positive impact every chance she gets. 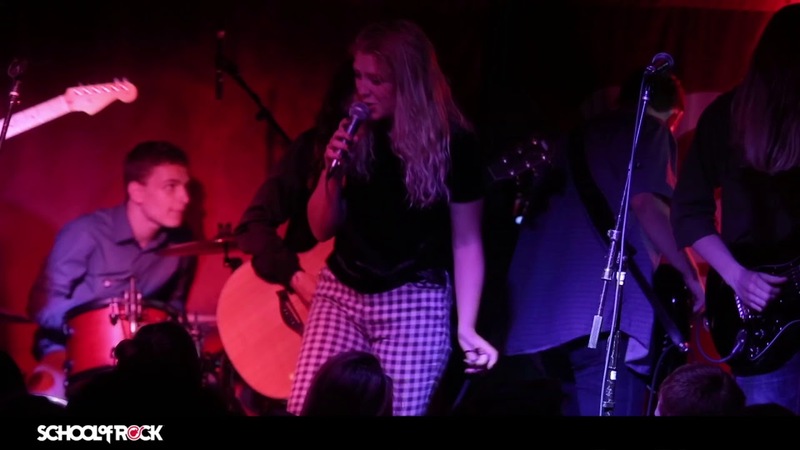 She was classically trained for 11 years, sang in a professional chamber choir for two years, released a self-titled pop/rock album in 2012, and has sung in bands that played genres ranging from country and rock to soul and jazz. You can hear Kalila's voice singing in the background of music released by nine separate recording artists, all of whom she also consulted for in the studio. 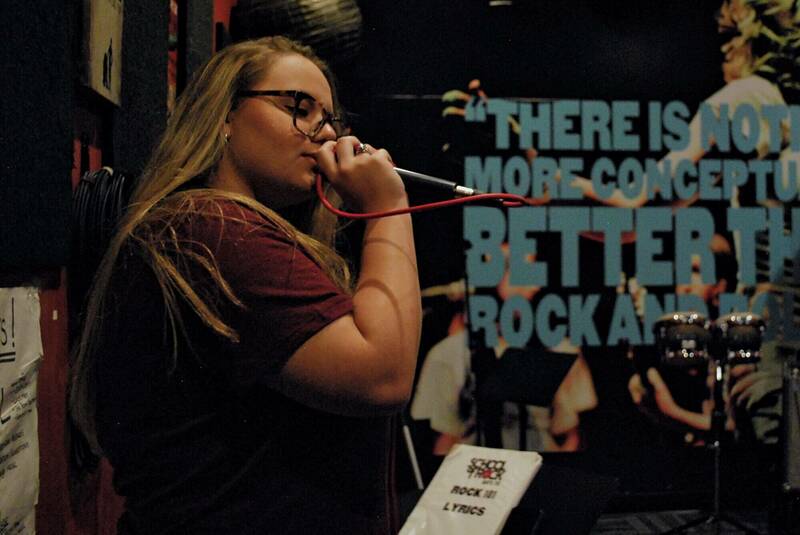 In addition to teaching voice and being a show director at School of Rock Katy, Kalila teaches in Katy ISD, where she also uses her voice to help students learn and grow. Kalila likes to think of herself as a coach who works hard to develop and maintain a team atmosphere where every student feels valued and supported. She takes a ton of pride in seeing her students succeed, and she's got the happy tears to prove it. 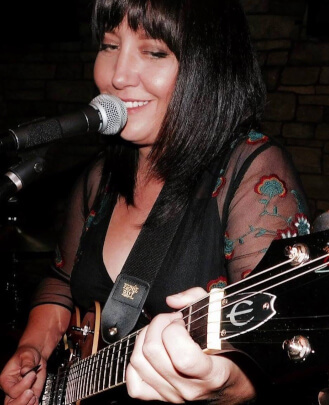 A classically trained musician with a specialty in Broadway and jazz, Nicole says she never seemed to find her musical niche until she was casually introduced to the likes of Fleetwood Mac and Heart. 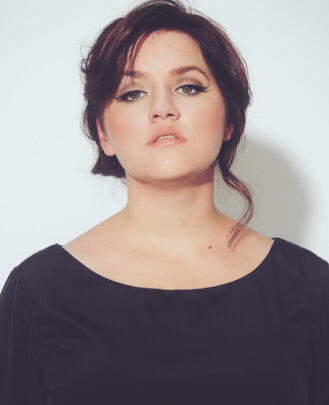 Nicole has been a student of music from a very young age, starting with piano and later guitar, mandolin and ukulele. Now she focuses on voice as her primary instrument. 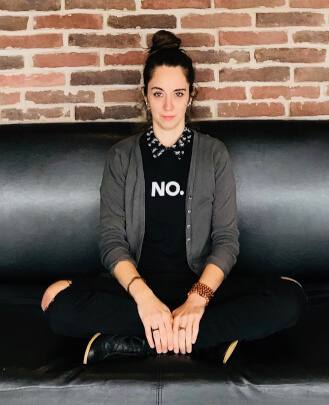 As an educator, Nicole says, "Teaching a younger generation the power of curating an individual sound and vocal power is seemingly what I was made for." 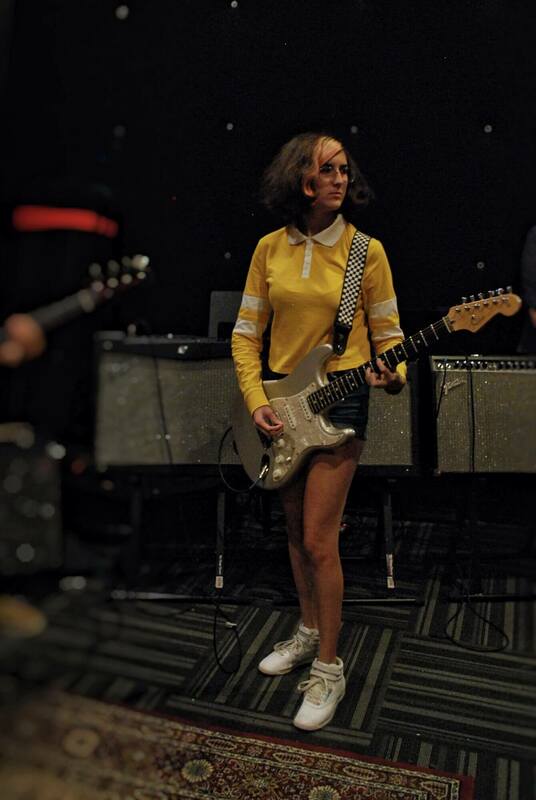 Professionally, Nicole has performed as an acoustic singer-songwriter for almost two decades with two completed albums, 2007's "Miscellaneous" and 2014's "Black Coffee and Key Lime Pie." 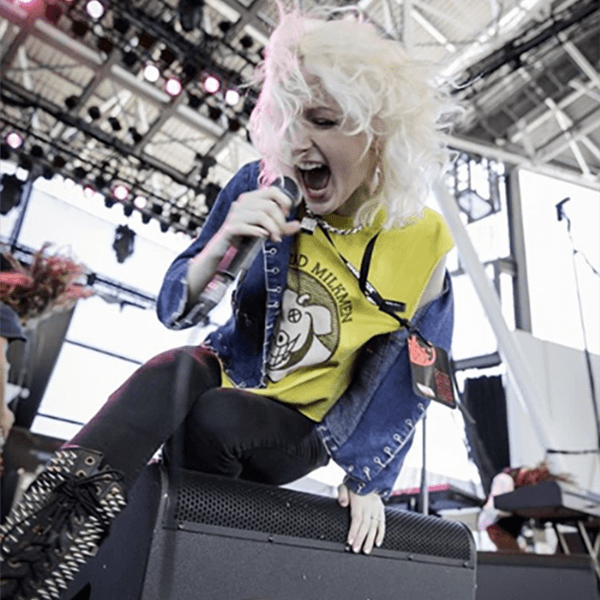 She is currently the lead singer and rhythm guitarist for the Houston-based band Torpedoed Heart. Rachel fell in love with music as a child, listening to the crackle of a vinyl record while softly humming along with the music. Growing up in a ballet studio, rhythm has always been second nature her, but the art of performance was something that she had to work on. It took cultivating and creating her voice to build up the confidence to hit the stage. 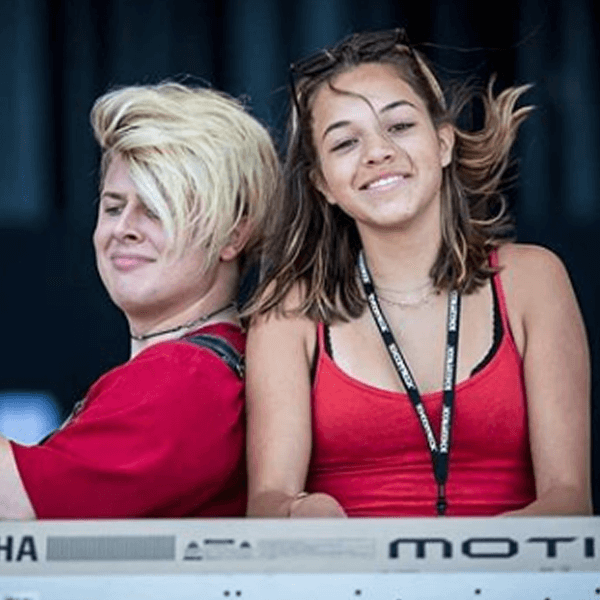 Rachel ended up creating a band called The Western Civilization with her best friend, eventually touring the U.S. and Canada with the Vans Warped Tour and opening for many amazing acts in their travels. 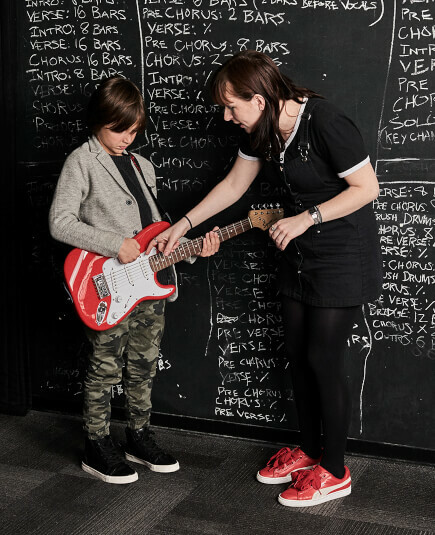 Her teaching style varies with each student, but the one constant is her ability to share her life experience and help to make each and every client she encounters completely fall in love with music. Zachary Cox was born and raised in Houston, TX. 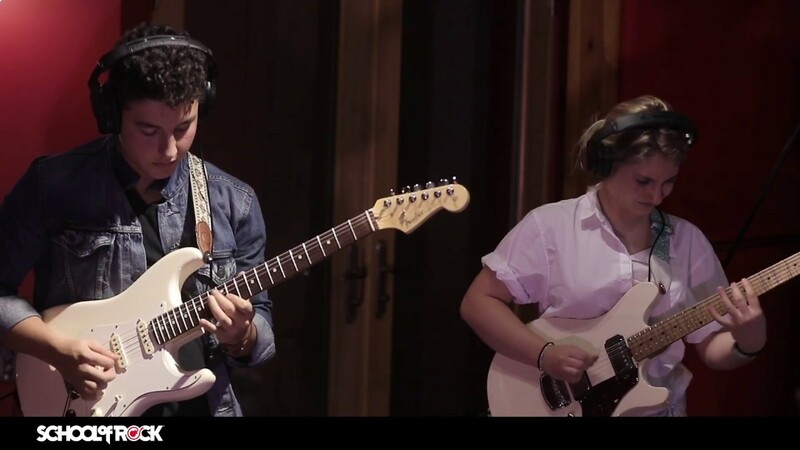 He has been playing music since the age of 13, slowly moving through different instruments before finding his calling as a guitarist. Soon after picking up a guitar and learning a few chords he was performing live for audiences. 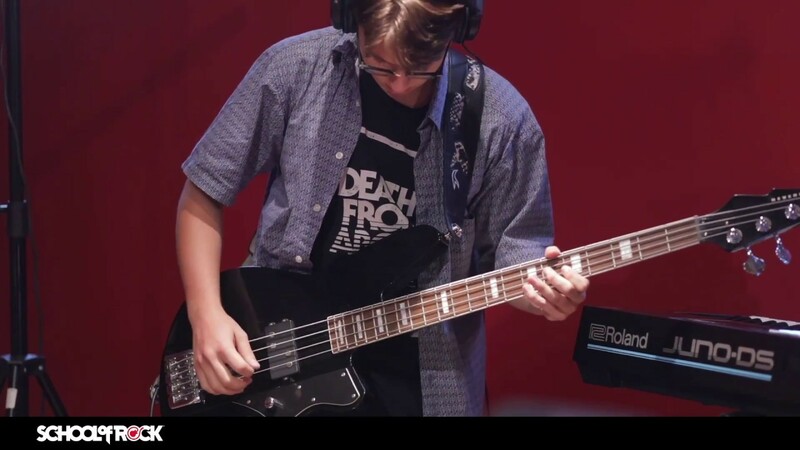 Zach started his first band, The Ramone Experience, named after his love for Jimi Hendrix and The Ramones, and won his middle school talent show. After that he was hooked. Growing up he has played multiple styles of music for various bands, including rock, blues, metal, punk and country. He then went on to pursue an education in the recording arts and is now an engineer at a professional recording studio. He has recorded most of his own music and has toured the country with it. Zach is extremely passionate about being able to share his love of music and help demystify the theory of music as well as the art of performance. 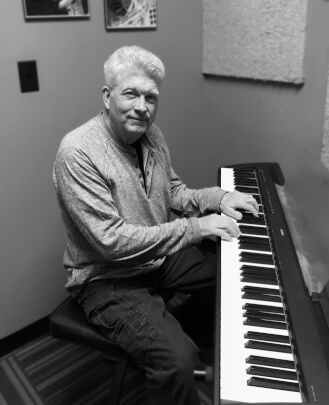 Stan Pillis is a seasoned performer, songwriter, composer, arranger and teacher with over 30 years of experience working with students of all ages and all genres. 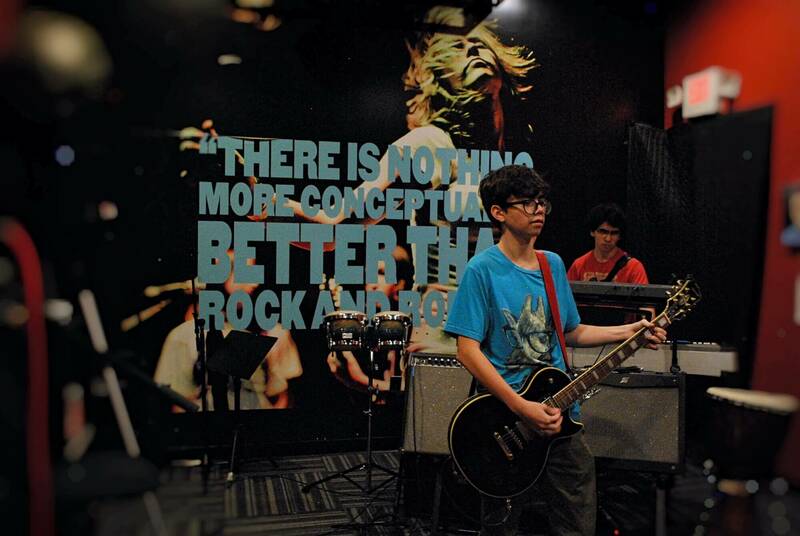 He is an expert in playing various styles of both guitar and bass and also sings. He is also an accomplished session player and recording artist. Stan has a wide knowledge of and teaches various musical styles such as rock, metal, pop, acoustic, classical, jazz, funk, fusion, world and blues. 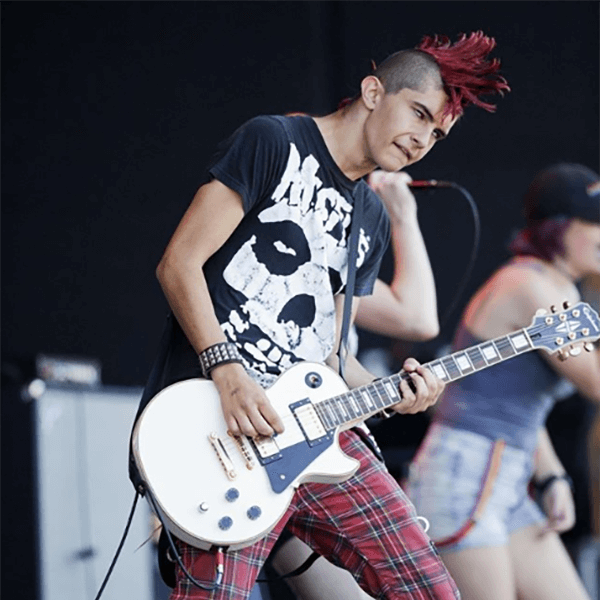 He has recorded guitar tracks on numerous commercials and has recorded multiple albums with numerous bands, as well as traveled the world on tour with numerous bands. 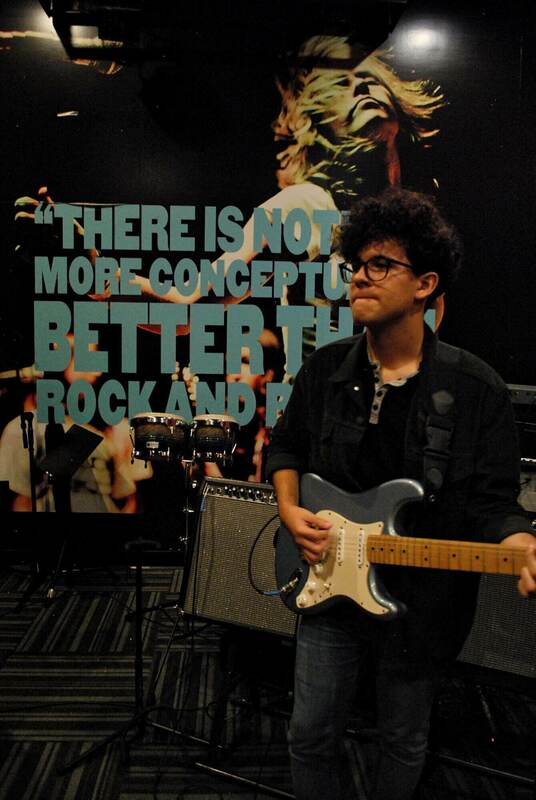 He has taught all levels of instruction and skill sets (beginning, intermediate and advanced) and has provided instruction on sight-reading, ear-training, musical and chord theory, speed picking, pick techniques, rhythm guitar techniques, lead guitar techniques and explaining modal concepts. 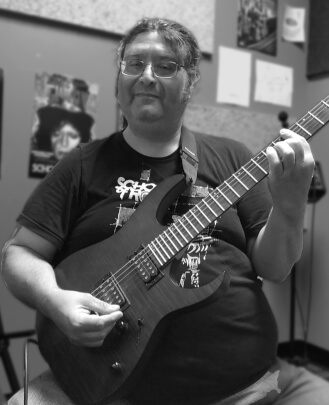 He is an expert in performance and has led many workshops on different types of methodology, as well as demonstrations of various types of pickups, strings, picks and pedals. He has prepared students for performances, auditions and festivals by also leading band performance workshops. Steve has been involved with music his whole life. His dad was a drummer and also played clarinet in a Dixieland band, so there was always music in the house. He bought Steve a marching drum when he was five and Steve would march around the neighborhood playing marching cadences with all his friends following behind. At seven, Steve took piano lessons and stopped when he was 14, then taught himself to play the guitar. He had a band in high school and college. After two years as a journalist in the Navy, he joined Channel Two News as a photojournalist. A few years later he got together with some of his neighbors and started Easy Money, a local band that has been playing all over Houston for 27 years. 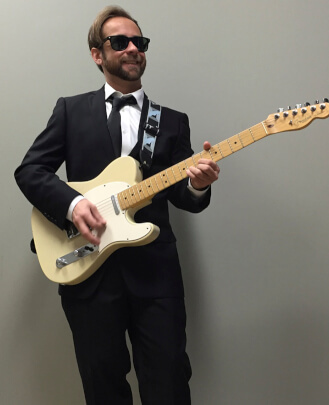 Steve retired from Channel Two after 40 years and now enjoys teaching a new generation how to rock and roll. 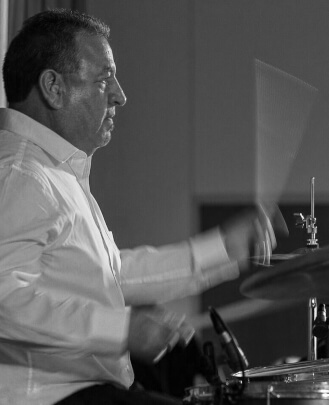 Born in Baytown, TX, Lawrence Del Toro has been playing drums for more than 40 years. Immersed in music from an early age, Lawrence was hooked on the drums after seeing Ringo Starr and The Beatles on television. 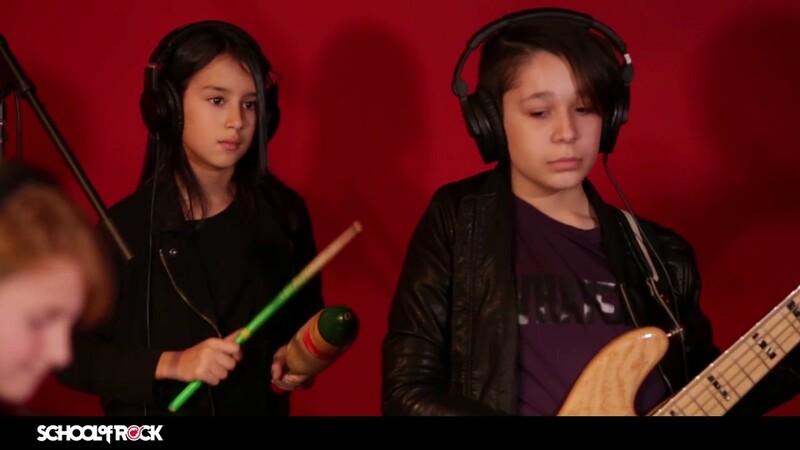 Since then, Lawrence has performed in numerous bands, honing his skills behind the kit. Some of his bands have opened for such famous groups as The Drifters, The Platters, The Temptations, Muddy Waters and Jimmy Vaughan. Currently, he’s actively working the blues circuit with his nephew, 2017 Blues Award winner John Del Toro Richardson. In addition to the drums, Lawrence also plays guitar, keyboards and harmonica and enjoys his time in his own studio making music. 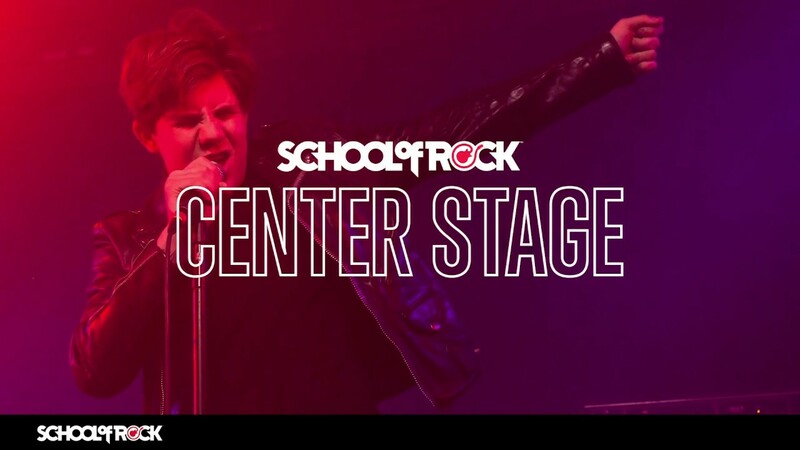 School of Rock Katy students perform on stage in Milwaukee, WI during Summerfest. Rock 101 students work on their songs with Director Nicole Starch. 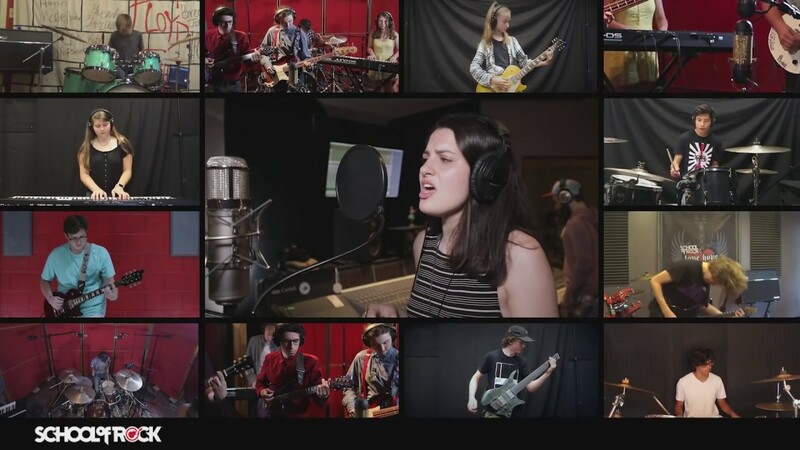 Rock 101 students enjoy working with their bandmates on their new songs. 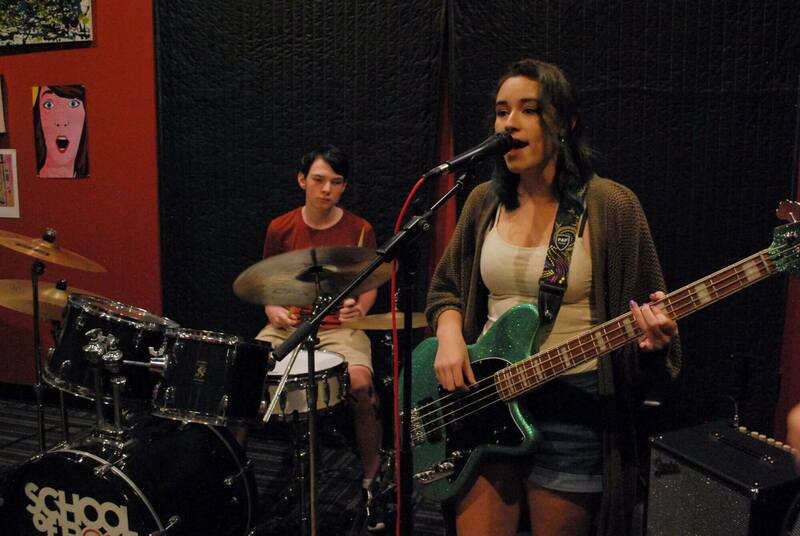 Rock 101 students work through their parts with Director Evetier Barron, laying down some bass. 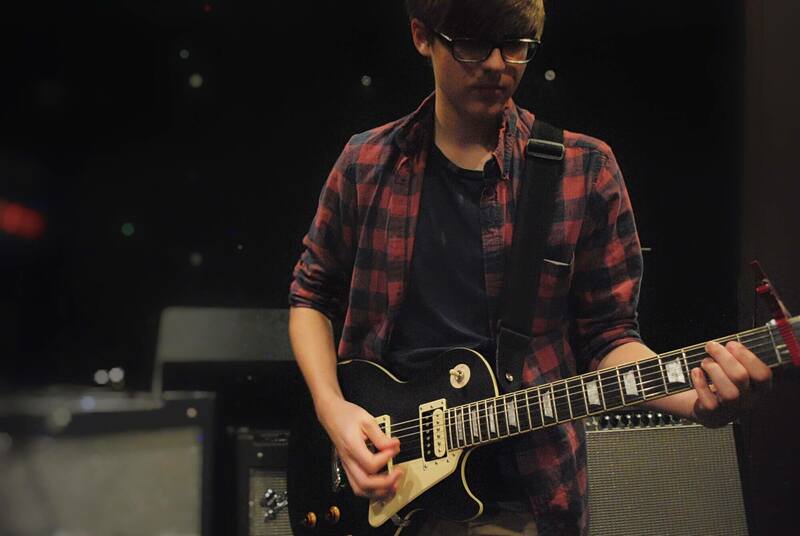 A Rock 101 student works on his guitar licks as the band rehearses a new tune. A House Band member works on her vocals during a recent rehearsal. The House Band runs through their set during a recent rehearsal. 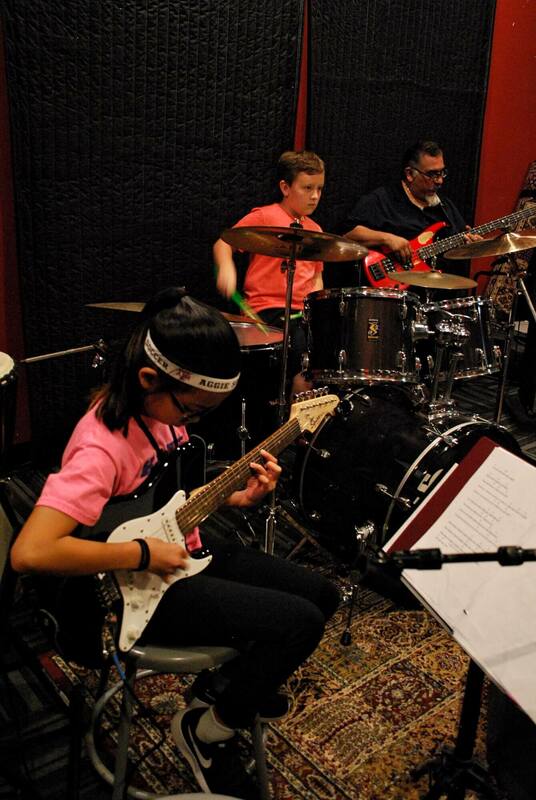 House Band members work on a song during a recent rehearsal. 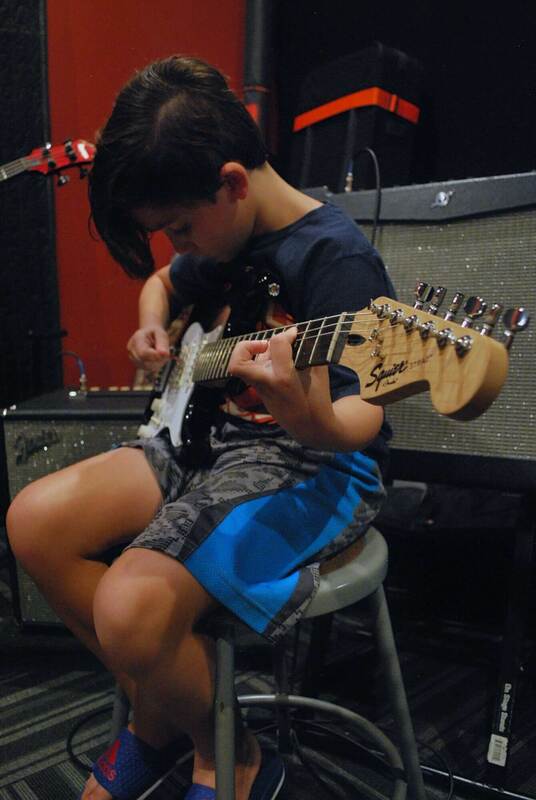 A School of Rock Katy House Band student runs through his guitar part during rehearsal. Katy House Band members run through their set to prepare for an upcoming gig. A House Band student awaits instruction for her director during a recent rehearsal. A Katy House Band student works on his drum fills during rehearsal.